S-lon Lanka Pvt. 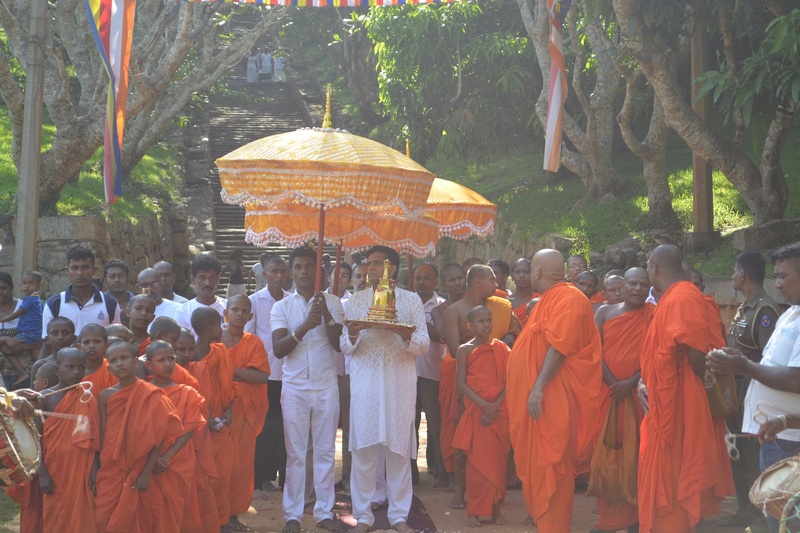 Ltd joined the sanctified perehera with a specially designed float carrying the largest ‘Pirith Kalaya’ distributing the blessed water and thread to over a million devotees and patrons who lined up the street enroute from Mihintale Raja Maha Viharaya to ‘Wesak Kalapaya’ in Colombo. S-lon also took the initiative to distribute a booklet consisting of “Pirith’ & 'Gatha' , picture frames depicting key water related milestones in the life of lord Buddha and another booklet depicting water related Jathaka Stories and its relevance today. The perehera route was also adorned with colourful pennants depicting these Jathaka Stories.